With all the hype created in the media for The Affordable Care Act, (aka Obamacare), it is critical for HR departments to communicate openly with their employees regarding any impact (whether positive or negative) on them financially or otherwise. While some components of the law have already been enacted, many key provisions (and some of the most confusing) are set to begin in 2014. Because the press has had a field day covering the political football known as Obamacare, misinformation is bound to be created, causing tremendous FUD (Fear, Uncertainty and Doubt). This fact has the potential to not only generate an unneeded distraction within the workforce at a minimum, but great anxiety and grave concern for their future at the other extreme. Two facts are certain: 1) The Affordable Care Act is controversial and 2) significant changes are coming for millions of Americans in how healthcare is paid for and provided. HR must head this time bomb off at the pass by being open and transparent with their employees. It is far better to detail the good, bad and ugly early on. Employees will appreciate the honesty, and be able to begin the process of adjusting their finances and other family matters as necessary. Employers should explain to their employees how the Affordable Care Act impacts the business as a whole, helping them understand why new policies were mandated in order to comply with the new law. Not all businesses will realize a significant impact (whether positive or negative); in fact many employees may not see any noticeable change at all to their benefits. 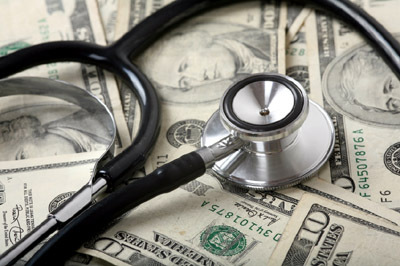 But for many other businesses, employee insurance costs could go up (or down), plans and carriers may change, physician choices may be limited, and work hours may be shortened, as well as other changes. Change is not necessarily a bad thing, but it can and does cause angst in people, particularly when they don’t really understand what specific changes will affect them. Being open and honest with employees up front will stop the rumor mill, minimize the distractions, and show employees that the new law impacts both employee and employer, generating a greater level of trust which ultimately leads to higher employee satisfaction and productivity. Bill Gates once famously said “give me the bad news early”. Whether the Affordable Care Act makes a positive or negative impact on your employees, by communicating openly, you will have a more engaged and appreciative workforce in the end.